I completed my Ordeal in Spring 2012, and when I first joined, I knew I had joined something larger than myself. What I didn’t yet realize was that the Order of the Arrow would eventually become a part of me, inseparable from who I am . The OA is based on cheerful service and I was all for some service with a smile, because that is my personality anyway. As I began to attend different events, I started to learn: I developed new leadership skills; I gained life experiences; and I met people that will be a part of my life, for the rest of my life. The OA has also taught me to keep service in my mind at all times. Not only do I provide service when it is planned, but I enjoy simple service like helping those in my community, such as holding the door for people behind me or leaving a small note for a waiter or waitress that will make them smile during their long shift. The OA has instilled cheerful service into my heart and it is important to keep this worthy passion forever. The OA is an amazing opportunity to grow as a person and it truly is a great organization. As Occoneechee Lodge Adviser, I hear that phrase a lot as I attend meetings, visit troops and meet people across the Council. Our Arrowmen are proud to be members of the BSA National Honor Society and so am I. But what does being in the OA mean to you? Does it mean that you have completed the Ordeal? Does it mean you have paid your dues for the current year? Does it mean you have registered for an event or two this year? While all those things are certainly part of being a member of the Order, I would challenge you to ask yourself these questions as well. Are you committed to a life of cheerful service, helping others above all else? Are you constantly striving to set a positive example for those around you? Have you seen the Arrow? There is an important distinction between being part of the OA, and the OA being a part of your life. 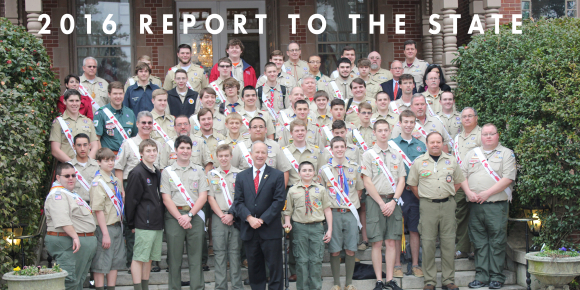 During 2015, the Order celebrated its 100th Anniversary and we recommitted ourselves to the higher purpose of the Order. Keep the fire of cheerfulness burning, my brothers. Seek the higher place that is within you and be proud of your accomplishments. Many moons ago (since LLD), our chapter has really focused on ceremonies, from Eagle Scout and Arrow of light ceremonies to Ordeal ceremonies. After the many practices our ceremonies team has been through, we earned first place for Ordeal ceremonies at Spring PowWow, and we are looking forward to Spring Inductions to induct over 100 candidates. 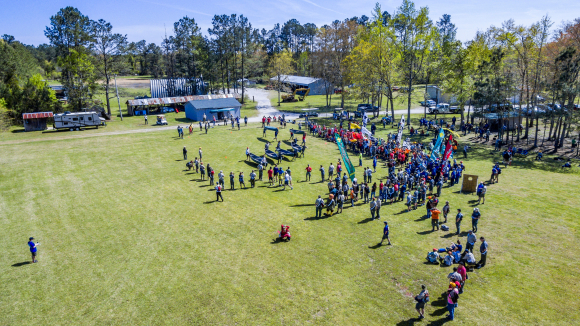 In 2017, Lauchsoheen will host a spring camporee for the Lafayette District at Camp Durant. We are preparing for this amazing event with outstanding activities, games, and more. 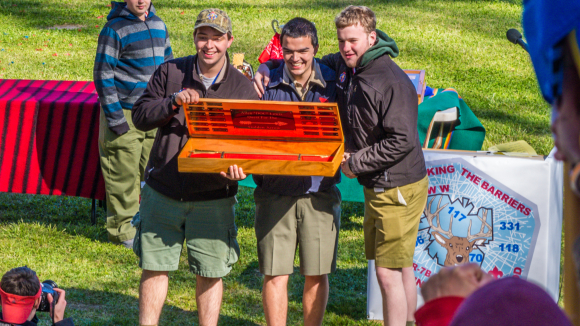 We’ll keep in touch with you as the camporee approaches!